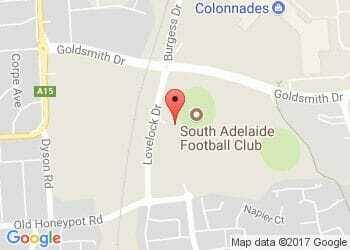 The South Adelaide Football Club is committed to building the best possible Talented Player Pathway for all aspiring footballers in our zone. Hence, we have decided to make a significant enhancement to our pathway for players who are about to enter the SANFL U16 competition. We are very pleased and excited to announce the introduction of the SAFC "Panther Club Football Academy". This program is aimed at providing the best possible education and preparation for young talented athletes across our zone. To create a more effective link for our most talented U15 players from community level football into the SANFL underage competitions. A 4 day camp held at Hickinbotham Oval. This camp includes athlete education sessions, physical profiling sessions, skill acquisition training along with practical athlete recovery sessions. Requires players to follow a specific training plan while working closely with an Academy Mentor Coach back in their local region in smaller groups. This phase lasts for 9 weeks. A 3 day camp held at Hickinbotham Oval. The Academy will include 45 of our most talent players under the age of 15 from all regions of our recruiting zone incorporating all 4 of our Community Leagues.